How do I love thee, HVAC unit? Let me count the ways. Okay, it’s a bit weird to write love poems to your heating and air conditioning, but if you had to spend a week shivering in below-freezing temperatures while your unit was being repaired, you’d probably feel a lot more loving towards yours, too. HVAC systems may spend a lot of time behind the scenes, but they’re just like any part of your home: they need some occasional TLC in order to perform at their best. And since it’s almost Valentine’s Day, it’s the perfect time to show your HVAC system some love—here’s how. Give your AC and furnace a new set of filters, and—we promise!—your unit will give back in improved performance and lifespan. You see, filters don’t just improve a home’s air quality. Part of your heater’s job is to pull older air back into your system for reheating—then push it out again to keep your house warm. Before it goes back out, though, it goes through the filter, just to clear it of any dust bunnies it might have picked up on the way. But if your filter is clogged, your unit will have to work harder to push that reheated air through the works. And that’s not just tough on your unit’s internal components. It’s also hard on your energy bills as well. A harder-working unit is a more expensive unit, so do your system and yourself a favor and change your filters every four to six weeks. Your system works hard every day of the year, keeping you and your family comfortable. If you really want to show your heater some love this year, give it a break by turning the thermostat down just a little bit. Every degree you can lower it saves up to three percent on your energy bills, and after how warm it’s kept you all winter, doesn’t your heating unit deserve a little well-earned R&R? Smart thermostats learn your preferences over time by tracking the adjustments you make, then make those changes on their own—and they often provide recommendations for how to save energy, as well. The Department of Energy estimates that you can shave up to 10 percent off your utility bills just by setting your thermostat back seven to ten degrees while you’re away at work. And that means your unit doesn’t have to work as hard, either. Win-win! Your HVAC unit’s efficiency isn’t just affected by how you use your thermostat. Drafts caused by leaks in your windows and doors—or around exits for electrical wiring, plumbing, and vents—can let out precious heating and cooling, and allow winds in on frosty days. In most cases, air sealing your home makes for a pretty simple DIY project. 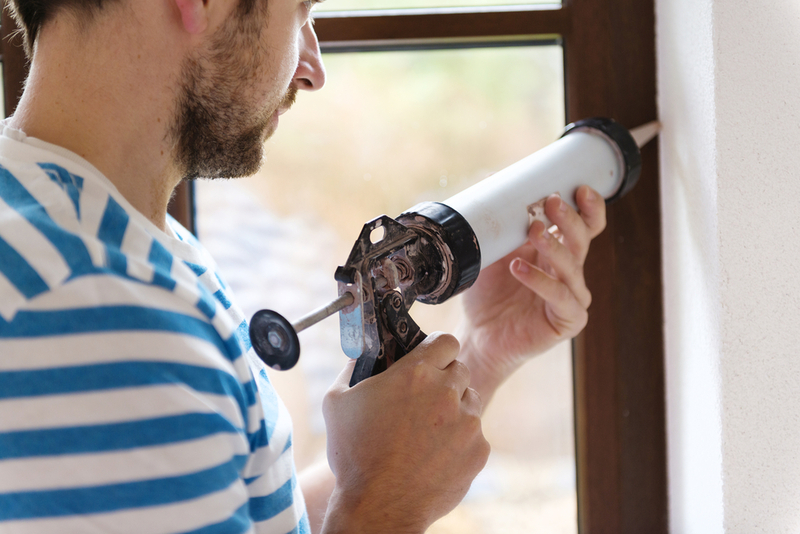 Just get some silicone caulk and weatherstripping and go to town, applying caulking over the stationary seals in windows, or where pipes and wiring come through your home’s exterior walls. The weatherstripping fits over the moving parts—the bottom of the window sash and around your doorjamb. Your HVAC (and your family!) will feel snug and cozy in your new weather-proof home. 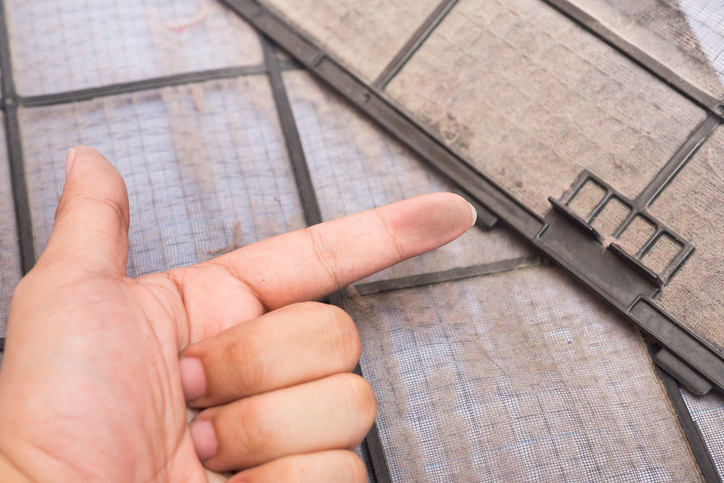 Nobody likes spending time in a dusty home—least of all, your HVAC unit. As we mentioned before, part of your heater’s job is to cycle heated air back through your system—and filtering is an integral step in that process. But the more dust, lint, and pet hair you have lying around your house, the more dirt your unit will pick up. And remember those filters you just put in? They won’t last as long in a dirty house, either. Take some time to vacuum your carpets and upholstery, then hit your wood floors and furniture with a microfiber cloth. Not only will it be good for your HVAC, you’ll also breathe cleaner air. Win-win! You can think of your home’s ductwork kind of like a drinking straw: if it springs a leak, the liquid—or in this case, the heated or cooled air—isn’t going to wind up where it’s supposed to. And no matter how hard your unit works to heat or cool air, it’s only going to be as efficient as its ductwork. Ducts often develop leaks and gaps around joints and seams over time, so it’s only right to give your system a closer inspection every once and awhile. Some signs your system is leaking? Rattling noises in your ducts when you turn on the heating or AC, rooms that stay colder or hotter than the rest of the home, and vents where the airstream feels weak. Shore up leaks with mastic sealant or metal tape—or have a professional out to perform a blower door test on your home. Want to know the best part? With all the money you save on your heating and cooling bills, you’ll be able to afford to give your real sweetheart a truly unforgettable Valentine’s Day!